It’s a fact that the best candidate doesn’t always get the job. However, the candidate who performs really well at interview has the odds stacked in their favor. There is no substitute for interview preparation. To win the interview game you need to sell your skills, build rapport with the interviewer, reveal positive attitudes and opinions and speak clearly and confidently. Above all, you must demonstrate the relevance of your skills and the benefit of your experience to prospective employers. If you have experience which is appropriate to the job in question – be sure you present this. 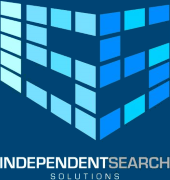 At Independent Search Solutions, we meet all our candidates for 1st, 2nd & 3rd Interviews. Well usually pick a Hotel close to our client and drop right at the front door so you have no difficulty in finding where you need to go. If you are considering a career move at ISS Ltd we work with Hospital Sales & Manufacturing Staff in the Medical Device and Pharmaceutical Sectors. Please feel free to take a look at our live roles on the company website, or LinkedIn Profile.